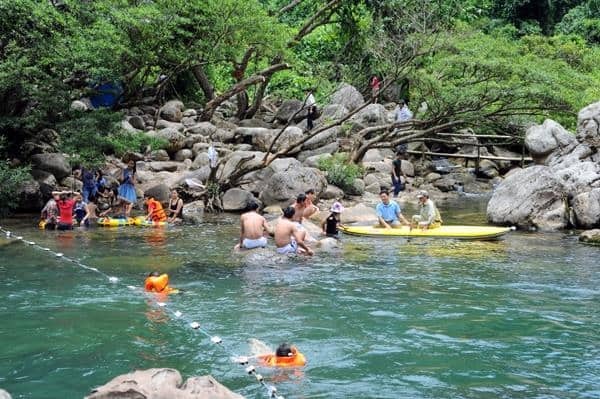 The Mooc Spring eco-trail is located by 20 minute going by car from Phong Nha cave. 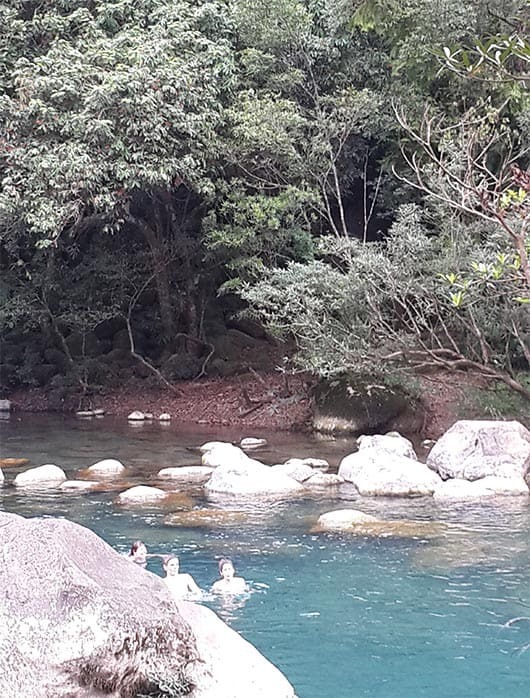 After visiting the beautiful caves of Phong Nha-Ke Bang National Park Heritage, The Mooc Spring eco-trail is an ideal and most rational destination for visitors. 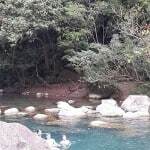 “Mooc Spring” means unknown stream which is suddenly erupted from the mountains. This strange stream after wriggling through hundreds of kilometers in the mountains, it is appeared with cool and blue water from 16-18 ° C in summer. Thus, you will be indulged in cool, blue water, kayaking.vv … enjoyed the tasty local dishes, on the “Bird’s Nest Restaurant”, which sis unique in Quang Binh.